So, yesterday was pretty nice. I got to chat with More, Lox and Oswald and the fine peeps in the scrap chat. 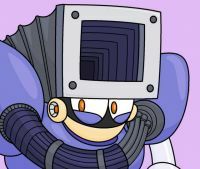 Other than that, I did some cleaning yesterday, and I'm going to finish up Mega Man 8 today, and then move onto Mega Man 7 tomorrow. I'm excited to finally do some new rankings for once, as I love Smash bros, and I'm excited to see where this goes. Also if Luigi is eliminated before Mario, then someone's gonna get hurt. I also want to watch Beauty and the Beast and The Emperor's New Groove. Why? Gaston and Kronk. This raffle ended on 1555412403. Whoops, didn't mean to disable comments.